As a nonprofit organization, Isaac's Bookshelf relies completely on the generosity of donors like you! We appreciate all donations in the form of new books, money gifts, or gift cards. To donate books, please send new children's board books, children's picture books, or chapter books for young readers up through teenagers. Isaac's Bookshelf is visited by patients ages 0-17. In order to help ensure the safety of the patients that visit Isaac's Bookshelf, all donated books must be new. 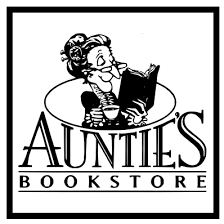 Visit the Auntie's Bookstore website to donate books or gift cards and help us support a local business right here in Spokane! Use PayPal to make a quick and easy donation. Click here for our address if you would like to send us some new books that you picked out yourself.